Even police officers can’t always shoot accurately. More guns mean more gun deaths. 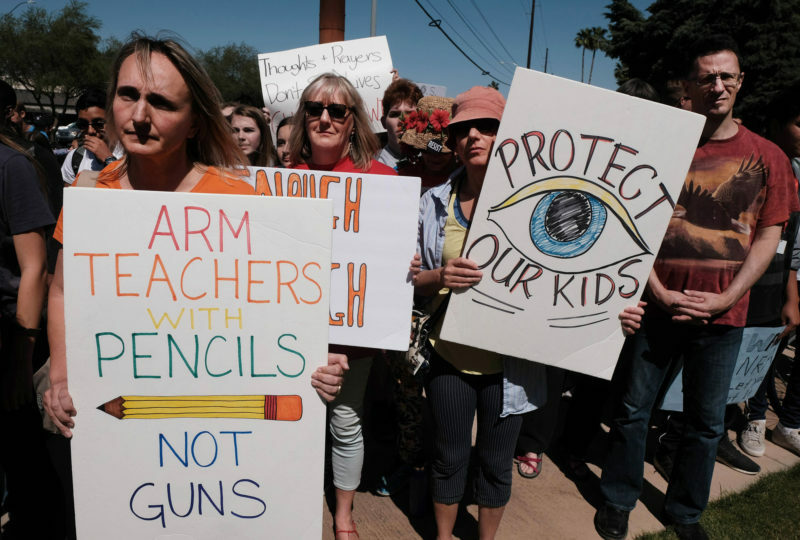 The majority of the U.S. population doesn’t want to see teachers armed. These are just a few of many poignant insights about the absurdity of arming teachers that have emerged since the massacre that killed 17 people on Valentine’s Day at Marjory Stoneman Douglas High School in Parkland, Florida. Particularly moving have been the voices of students who simply want to feel safe at school and teachers who never signed up to participate in armed combat in their classrooms. Importantly, those voices have called out the National Rifle Association and Republican lawmakers for the ridiculous suggestion that, in addition to the already demanding workloads teachers face, some should also carry a loaded weapon to school in case an intruder armed with an assault rifle begins shooting the children in their care. But the issue runs deeper than adding the unwanted and dangerous task of policing schools to teachers’ jobs. I have worked in the field of teacher preparation for over a decade, and arming teachers would change the work of teaching even more fundamentally than many may realize. With an interest in learning how professionals who serve the public learn to take up authority, I have analyzed the differences in teacher and police preparation. Unlike police, whose job it is to quickly determine when force is necessary to constrain dangerous behavior, teachers serve the public best when they see the human potential in each child and actively work over time to remove barriers that prevent children from growing into their limitless selves. In my research, I learned that the role both teachers and police adopt as a result of their training is profoundly shaped by what Charles Goodwin called “professional vision,” and it determines how police and teachers view problems and the steps they take to solve them. Because most teacher-education programs have done a poor job of preparing teachers for classroom management, I studied how police, whose main responsibility is to enact authority, trained their new recruits. I didn’t want teachers to become more like police — far from it. Instead, because teachers and police are both asked to assert authority on the public’s behalf, I wanted to learn how police trainers help novices don their positions of power and how they teach them to make decisions that reflect that power. By making the familiar strange, I hoped my research would help teacher-educators think more carefully about the type of authority role for which they were preparing teachers, and to consider the messages they were sending about how to enact that authority in responsible and humane ways. While the police academy that I studied includes anti-bias and de-escalation training, novice police officers learn to encounter the world as a dangerous place. They are taught that life-threatening situations can arise at any time. Through a series of role-playing scenarios, recruits are taught to expect a routine traffic stop to descend into an exchange of gunfire, or a seemingly innocuous encounter with a pedestrian to turn into a physical assault. As both products and perpetrators of the existing social order, police also internalize a framework for quickly determining who are “bad guys” and who are “good guys.” This framework is informed by racial, cultural and economic hierarchies that privilege white middle-class people over African Americans, Latinos and the poor, and becomes shorthand for making decisions about how to respond to high-stakes situations in mere seconds. Finally, police respond with routines that reflect both attunement to danger and this biased model for determining who is good and bad. As we’ve seen, this regularly results in tragic consequences for African-American men and boys who are shot by police officers who say they felt threatened and are then contradicted by video evidence of the event. The professional vision of the police is ultimately, and unfortunately, narrow — they are taught to look for danger, make decisions based on limited information and act quickly. These decisions primarily defend a sense of security for dominant groups and preserve current social norms. In contrast, many teacher-educators see themselves as agents of change, not guardians of the status quo. This means that teacher-educators try to help novices adopt an expansive professional vision that enables them to imagine possibilities for students, welcomes them despite differences they might have with one another and the teacher, and encourages decision-making in the moment that is informed by such a perspective. While we can and should be doing more to help teachers develop a humane and competent sense of what it means to hold a position of power, a professional vision that is focused on the strengths and needs of each child is key to effective teaching. Teachers also need to get to know their students over the course of many months, develop strong relationships with them, and make decisions about how to teach as a result of systematic reflection. Traditionally, teachers’ work has not entailed life-and-death decision-making, which gives teachers an opportunity to take chances, build rapport and change course. This would increase the likelihood that children of color, who are already disproportionately and harshly disciplined for minor infractions at school, would become the metaphorical and literal targets of underprepared teachers relying on their implicit bias to wield firearms. Equipping teachers with guns will add to the dangers that students face rather than reduce them. This story about teachers and gun violence was produced by The Hechinger Report, a nonprofit, independent news organization focused on inequality and innovation in education. Sign up for Hechinger’s newsletter. 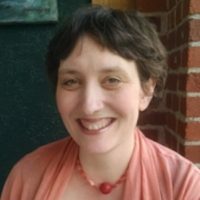 Jessica Charles, Ph.D., is the director of scholarship on educator practice at Bank Street College of Education. "More guns mean more gun deaths." When you start with a fallacious assumption you end up with a severely flawed opinion. The statistics do not support this view. So when seconds count and the police are minutes away, someone like myself - a military veteran licensed by my state to carry a concealed weapon and trained with comparable training that a police offer has (Tactical Handgun I and II training) - I should sit in a room with a bunch of scared kids, waiting to be snuffed out because the only people who can handle a gun are the police. I am sick and tired of people who will never be in a school during a active shooter situation telling me, the guy who would be why I shouldn't be allowed to carry my weapon. Any other time in my life, I am carrying, except for the place I spend most of my time, and the softest, easiest target out there. I don't appreciate being made a target because politicians and "education leaders" who will never be in my situation think they know better.